The property market is in flux, with a host of apps now introducing transparency and flexibility into the notoriously murky sector that rarely puts the consumer first. 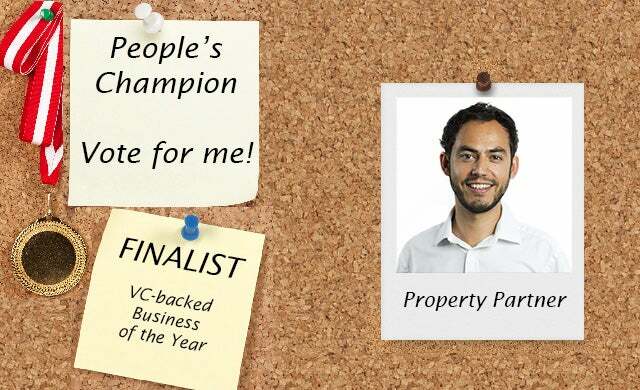 Startups 100-awarded Property Partner is one of the start-ups leading the charge. The crowdfunding platform enables anyone to invest in residential property for as much or as little as they like, reducing risk and removing barriers for entry, while its ”unique” resale market effectively acts as a stock exchange. Since launch in January 2015, more than 8,000 investors have invested over £36m in 240 properties across the UK. Regulated by the FCA, share prices are linked to the value of an individual property and can be listed for resale as soon as a purchase is completed. Investors can spread their investments over as many properties as they like, paying 2% on the purchase of shares but no annual or exit fee, allowing them to keep 100% of their capital returns. Property Partner claims this has resulted in a total annual return on investment of 10% after fees. Having taken its total funding to £22.5m after the completion of a £15.9m round in March, the business has revealed ambitions to expand overseas and create a global stock exchange for residential property. A platform that’s truly democratising property investments, Property Partner is not just improving the market for investors, but also for tenants, first time buyers and housing supply.